Materials Steel, Plastic (wheels), fabric. Knees Rest Can be set in two positions. 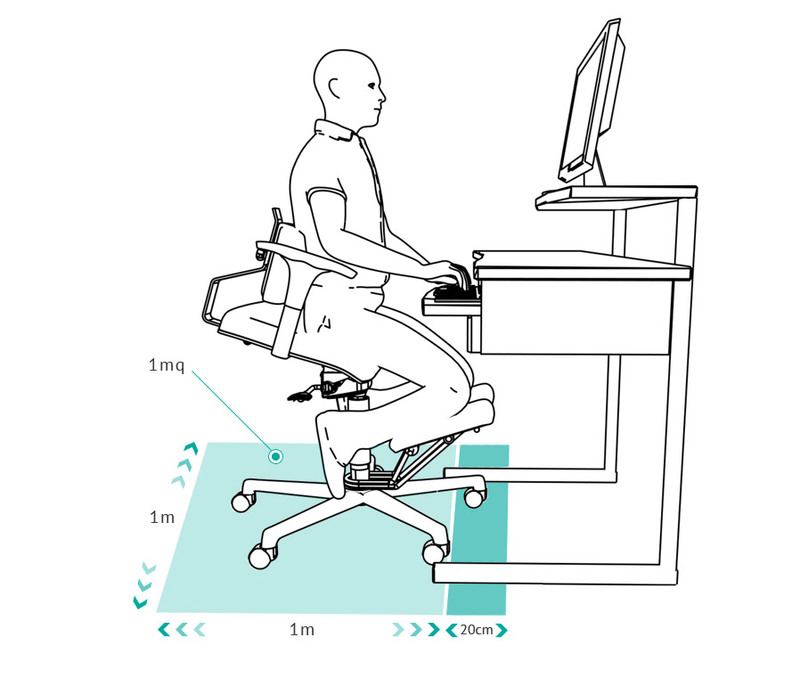 Without the blocking ring the knee rest can move freely, following the position of the user’s legs. Its 360 degree movement around the seat allows it to hide at the back. The height from ground (not adjustable) is 30cm at its lowest part and 36cm at its highest part. Another version has two adjustable settings and a free tilt option. Back Support Plank The steel back support plank is tested to sustain a 40kg horizontal pressure. Yield point: 70kg. Chair Use Komfort Chairs have been developed for people who spend many hours in front of a computer, desk, microscope and in any job which requires continued sitting. Do not lean the chair backwards or forward as it could be dangerous. Antibacterial And Antimycotic ULTRA-FRESH Fresh, hygienical, odours free. Description ABFLAM, Polyurethane system on a TDI base, completely water expanded. Non-deformable (it comes back to its original shape when you stand up). It does not contain harmful sustances such as CFC, PBDE, PBB or heavy metals.